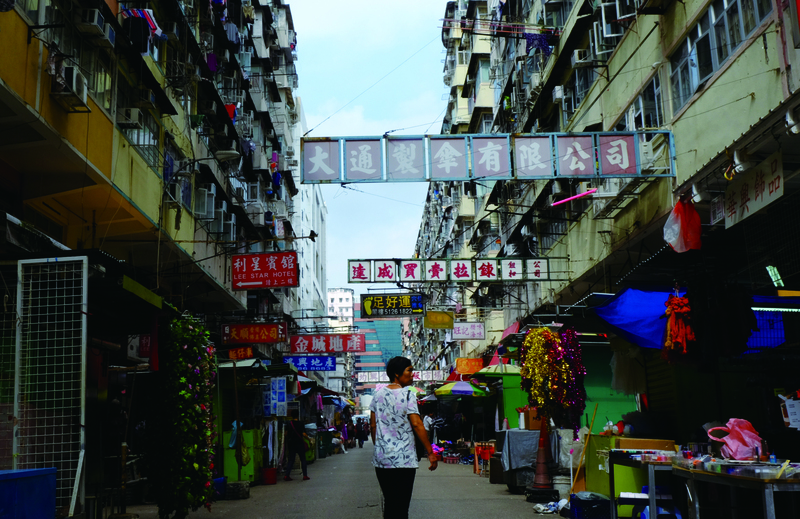 Colourful neon signs and eye-catching billboards have long been a defining characteristic of Hong Kong’s cityscape. An interesting blend of exquisite craftsmanship, expressive typography and creative design, arrays of distinctive signboards protruding from buildings have long shaped the city’s visual culture, giving visitors a dazzling sight of the Pearl of the Orient. But visual delight though they are, some of the city’s signboards can be potential bombs hanging over our heads. A survey conducted by the Buildings Department between May 2011 and December 2012 found about 120,000 signboards across the city, most of which are unauthorised. While the government insists most of them pose no potential danger, accidents involving falling signs resulting in casualties are not uncommon. Last December, a three-metre-wide signboard of a gaming centre in Yau Ma Tei came loose and fell onto pedestrians, injuring three men. 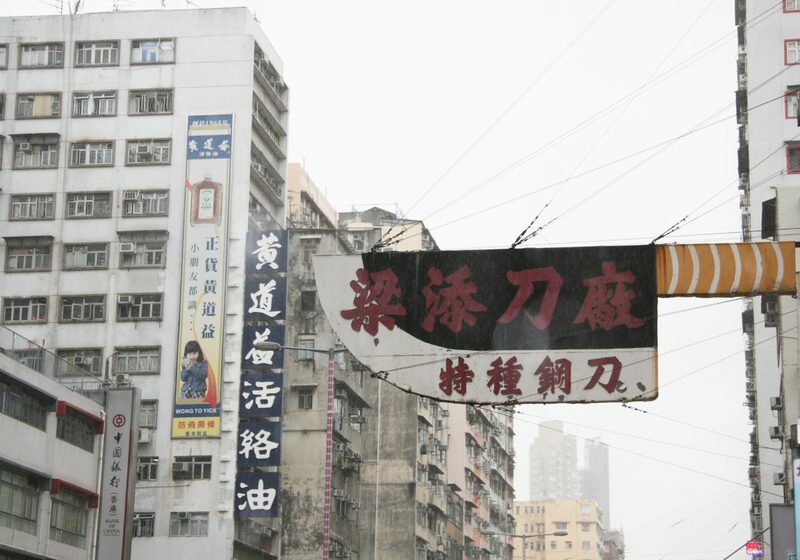 In June 2008, a restaurant wooden signboard in Wan Chai fell off and killed a passer-by. Veteran structural engineer Simon So Yiu-kwan says local signboards, mainly composed of wood and steel, may be structurally dangerous if their fixing is not strong enough. As he explains, while wood weakens after absorbing too much water, metal is easily rusted by rainwater and iron may break under fatigue. Apart from falling, So says if signboards are not properly hung, they pose a threat to the structural safety of buildings as well. “Some signboards are too large. They are often fixed on columns or beams of a building. In strong wind, the signboard will create a large turning force called torque onto the structure, which is potentially damaging to the columns or beams,” he says. Currently, a signboard is considered unauthorised if its owner has not obtained approval from the Buildings Department, or followed the requirements under the Minor Works Control System. The department issues emergency removal order for signboards which are found to pose immediate danger to the public. The neon sign of Ka Do Li Restaurant in Jordan, which had been in use for more than two decades, is one of the signboards which vanished after receiving a statutory removal order from the Buildings Department. Restaurant owner Ms Lau, who does not wish to disclose her full name, says the projection of the signboard was found to violate current building safety regulations. Had she refused to remove the signboard, she would have been subjected to a daily fine of HKD$20,000. She says after the signature signboard was removed, the restaurant’s revenue dropped by half. 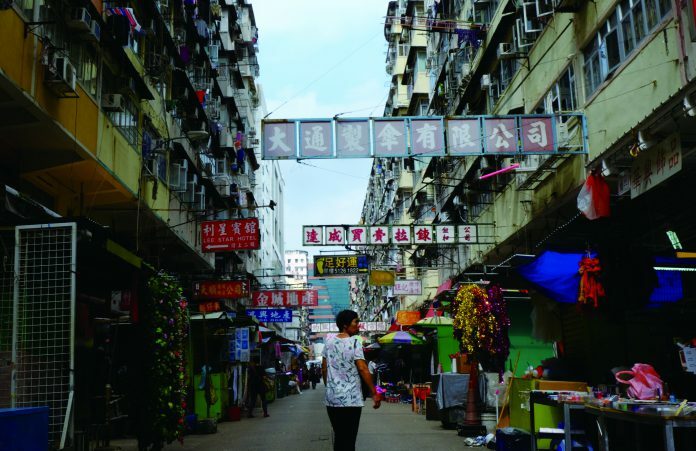 However, enforcement effort by officials so far is still not enough to impress residents in Yau Tsim Mong, where most unauthorised signboards are located. In a committee meeting of the Yau Tsim Mong District Council earlier this year, the Buildings Department came under fire for making “slow progress” in taking action against unauthorised signboards in the area. Officials issued 180 “Dangerous Structure Removal Notices” in the area last year, but only about half of the signboard owners complied with the removal order. The department explained that their work was limited by the lack of manpower and resources. Vincent Cheng Wing-shun, Kowloon West lawmaker and Sham Shui Po District Councilor, thinks the government should speed up the validation process and make the progress more transparent. “Although the validation procedure cannot be simplified, [the Development Bureau] should find a way to boost manpower, and give the owners who have applied for validation some guaranteed finished dates,” Cheng suggests. “They could introduce a certain vetting phase within, say, 35 days.” He also thinks the voluntary nature of the scheme is too lenient and legislation is needed. Leung Tim Chopper Factory, whose signature knife-shaped sign has been issued a removal order. Carrying out safety inspections of 120,000 signboards across the territory is seemingly impossible within a short period of time, so officials are also taking extra steps to encourage better maintenance by signboards owners. The Buildings Department has implemented a signboard validation scheme in 2013. Owners of signs installed before the implementation date of the scheme are allowed to continue their use if they have sought approval from the department, meet specific safety requirements, and undergo inspection every five years. The Development Bureau, however, told lawmakers in May that less than half of the total 662 applications had been validated by the department so far. The scheme comes under criticisms for its lack of transparency and effectiveness. North District Councilor George Pang Chun-sing, who is also a registered structural engineer, says many small business owners would not bother to go through the validation process before putting signboards up, as it may cost them extra time and money. Even if they are willing to take measures to ensure the safety of signs beforehand, Pang says they usually encounter difficulties in finding the right buildings professional to help them earn approval from the government. “It might be a headache for businesses running on a shoestring budget, say like shops owned by a couple. Where can they find those authorised contractors? They simply do not know about that,” Pang says. He suggests that if a signboard is proved to be safe by a professional, it should be exempted from the required vetting process. It is not only shop owners who feel strongly about the removal of signboards. Architect and photographer Kevin Mak, who co-founded concern group “Streetsignhk” which promotes conservation of signboards, says the government’s ongoing signboard demolition campaign neglects the cultural values of street signs. “The regulations give an impression that signboards are dangerous. Safety concerns aside, we think the government is not viewing signboards in other ways, like from a cultural or tourism perspective,” he says. 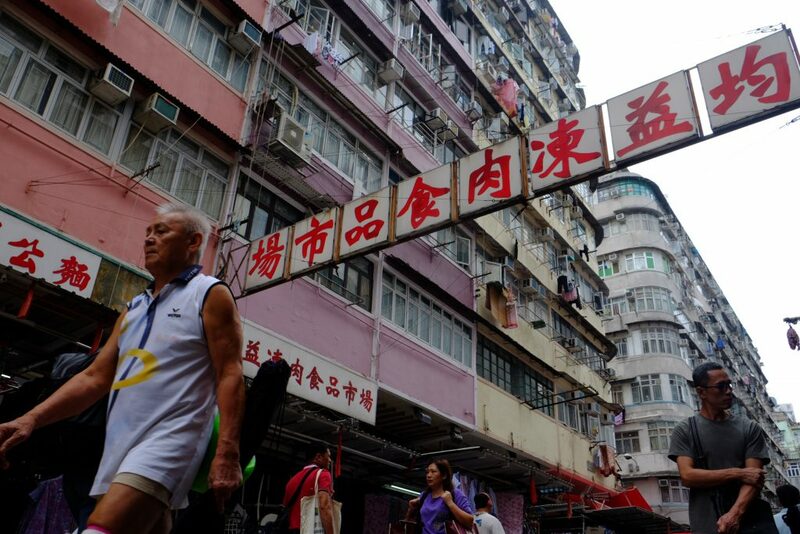 Mak thinks that the vibrancy of signboards is a key feature of Hong Kong’s cityscape, which has mesmerised many visitors. Ken Fung, another co-founder of the concern group “Streetsignhk”, hopes the government could provide more options to shop owners so that they can keep their symbolic signage, instead of adopting an “one-size-fits-all” approach to eliminate all unauthorised signboards across the city. A large overhead neon sign inscribed with eye-catching Chinese calligraphic characters in red in Woosung Street in Yau Ma Tei highlights traditional design of the old Hong Kong vibe. This newly crafted signboard of Tak Hing Sea Products was hung up this year, following the shop’s relocation in January. “This is a brand new signboard which adopts the same fonts as our previous one. We want to make it easier for customers to find our shop,” says Mr. Leung, Tak Hing Sea Products’ owner. The owner of the decade-old shop says he is willing to spend extra time and money to comply with the new requirements. “We have already spent tens of thousands of dollars on this signboard anyway. I don’t want it to be deemed an unauthorised building structure and removed one day. That would cost us even more money,” he says.